http://www.xheader.com This is the great XHeader software from the makers of the awesome XSitePro web design software. 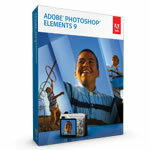 This software is free and can be used for graphics editing and photo editing. Just something I made for fun cos I am into digital scrapbooking. Picasa is free!